How do you make a skincare line stand out to top beauty editors and bloggers? It is all about the pitch and an essential part of this is your press release from a top beauty PR agency. Besides a simple, informational release, you can do so much more than black and white brand knowledge. One of the best ways to achieve this is by incorporating the product into a trending beauty topic. For skincare products, beauty journalists are always looking for creative ways to apply products and usage hacks to share. When #multimasking first became popular on social media a few years ago, it was the perfect time for beauty brands with face masks to capitalize on the trend. As writers started to break the news and seek more information on the topic, we wanted to be a source for them, immediately offering products and skincare experts. When you can provide time sensitive information and media outlets do not need to scramble for sources, you are on the verge of an amazing PR campaign. As #multimasking exploded on Instagram, JMPR created a press release resembling a beauty article you would find on top sites like allure.com and popsugar.com. The press release, Behind The #Multimasking Trend: Beauty Experts Explain How To Multi-Mask Your Skin, gave editors all of the information they needed on this breaking beauty news. Are you a beauty brand looking to connect with beauty writers as well? Don’t hesitate to reach out and contact us for a free consultation with our beauty PR firm. #multimasking just exploded on social media with thousands of face mask posts surfacing on Instagram. What is it and how can you try the trend at home right now? Osmosis Skincare shares their top multi-masking protocol for your best skin yet. “Why tackle one skin issue when you can tackle them all at the same time and look like a warrior princess while doing it,” explains Ami Mallon, Global Corporate Educator for Osmosis Pur Medical Skincare. 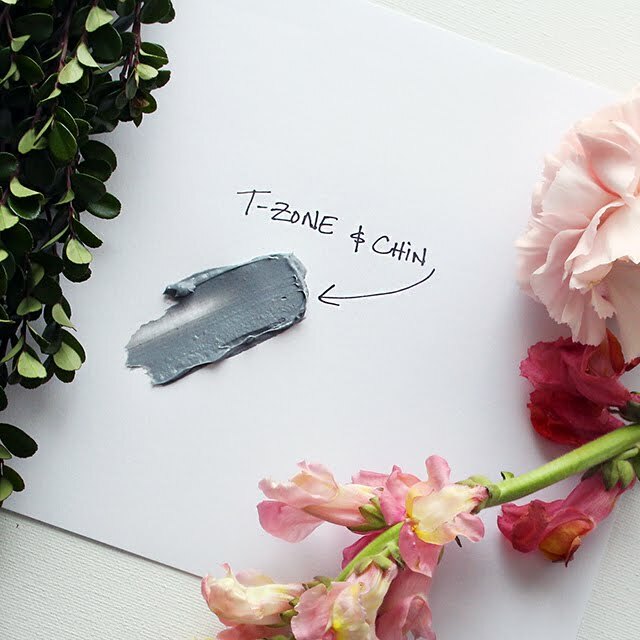 The Osmosis Pore Minimizing Clay Mask is the perfect tool to use for a combination/oily t-zone area. It is a non-drying clay based mask which balances and detoxifies the skin. It uses ingredients like Kaolin and Bentonite Clay to help refine the skin’s texture and smooth out larger pores. The Pore Minimizing Clay Mask also contains Argan Oil which is a sebum regulating oil perfect for controlling oil in this area of the face. The forehead and cheeks are an area of the face that can be most affected by the damaging rays of the sun and free radicals. Try the delicious Osmosis Revitalizing Orange Zest Mask to provide firming, brightening, nourishing and collagen stimulation. The high vitamin C content in this mask will help to protect the skin from damaging free radicals while brightening the overall tone and offering wrinkle prevention for smoother, more even skin. The lips are an area most often neglected when it comes to skincare. Don’t leave them out! Give the Osmosis Tropical Mango Barrier Recovery Mask a try for dry, dehydrated and damaged lips. With a combination of nut and fruit butters as well as oils, this mask will nourish, hydrate, calm down inflammation and restore even the most damaged of lips. With a heavenly scent of mango and a rich luxurious feel, your lips will thank you without even having to make a sound. The neck can unfortunately be one of the most obvious indicators of age. Counter this by giving your neck all of the loving care it needs with a different kind of anti-aging mask. The Osmosis Hydralift Firming Gel Mask encourages hydrating and firming in the skin while providing soothing and calming benefits as well from ingredients like cucumber and aloe. The skin is plumped refreshed and has a more youthful appearance.